3pm performance by St Keverne Youth Band followed by film screenings of new film about Abigail Reynold's 'Double Brass' 2015, as well as 'Double Brass' 2014, a film made by piecing together crowd-sourced footage. 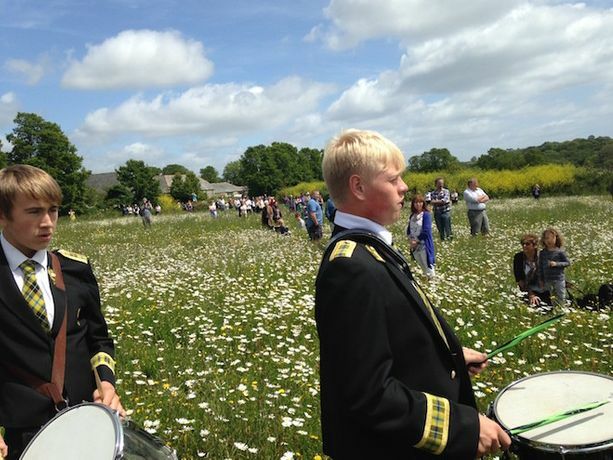 Abigail Reynolds created a site-specific time-based work in 2014 that was featured in the adjacent wildflower meadow and gardens on 21 June, in collaboration with the St Keverne Band, performing 'Troheaul' by Gareth Churcher made specifically for the piece. 'Double Brass' was a thirty-minute performance in the meadow knee-high with wild flowers, butterflies and bees at mid-summer. Two brass bands marched in such a way that the music being played appeared to be separate, becoming dissonant, and come together to harmonise, over time. The piece was repeated in 2015. Both years the performance brought large crowds to Kestle Barton in spectacular weather to enjoy this unique performance. St Keverne Band are based only three miles from the gallery. They are graded First Section nationally, and comprise three bands of different ages, with a total membership of over sixty. Abigail Reynolds is based between London and St Just, Cornwall. She is an Associate Artist of Kestle Barton and had a solo exhibition in 2015 ('Box A: Accidents') that ran parallel to the first 'Double Brass' performance. As the summer solstice this year falls on a week day there will be no 'Double Brass' 2016. Rather, we have a showcase of past years. 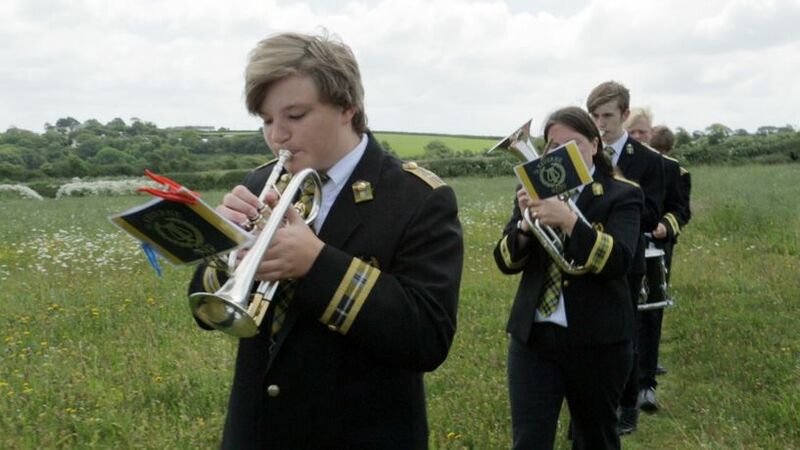 At the 2015 Cornish Championships St Keverne Youth Band won their section with 'Troheaul', Gareth Churcher’s composition for 'Double Brass'. 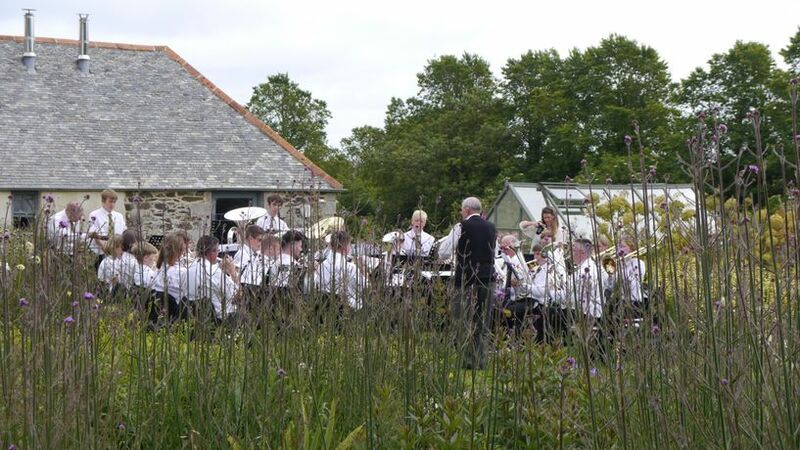 The Youth Band will perform 'Troheaul', and other pieces, in the garden at 3pm. The concert will be followed by a screening of the new film which documents 'Double Brass' 2015, as well as 'Double Brass' 2014, a film made by piecing together crowd-sourced footage.